It happened exactly as he said. So it is significant to note that there is a major Catholic higher education revolution underway in the United States and Canada. Eight new Catholic identity colleges have been founded since 2000 and more than 20 American colleges are promoting their Catholic identity — and that number could as much as double in the next 10 years. 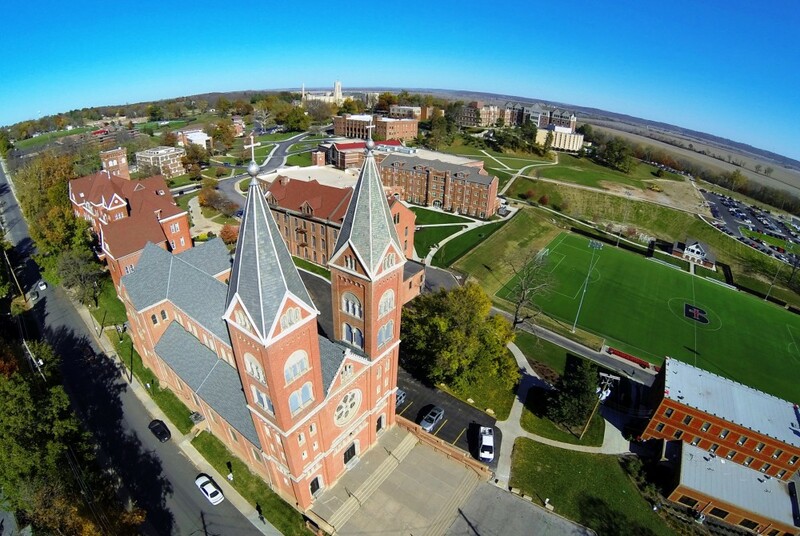 I work at Benedictine College in Atchison, Kansas, where we have seen 18 years of enrollment increases and opened 10 new dorms and three new academic buildings in the last 10 years. We regularly see new schools joining the “Catholic identity” club — and hear rumors of others who want to. Five new schools have been started in the United States since 2000: Augustine Institute, a graduate school in Denver; Ave Maria in Florida; Holy Spirit College graduate school in Atlanta; John Paul the Great in San Diego, Calif.; and Wyoming Catholic College. Three have been founded in Canada in the same time period: Catholic Pacific (formerly Redeemer Pacific), just across the Washington border in British Columbia; Living Water College of the Arts in Alberta; Our Lady Seat of Wisdom Academy in Ontario. Another major force in higher education is FOCUS — the Fellowship of Catholic University Students. The group has missionary efforts on 100 campuses, and expects to grow by 15-20% each year. About 18,000 students are being formed by FOCUS right now. These Catholic university students will transform their lives, the church and the culture. Msgr. Stuart Swetland, president Donnelly College in Kansas City, explains how. Students from Catholic families regularly lose their faith at secular universities, even those with Catholic centers. Student life policies and intellectual secularism are like a riptide pulling them away from shore. At “Catholic identity” colleges, the opposite happens — graduating classes include a higher percentage of practicing Catholics than beginning freshman classes. John Zimmer at FOCUS described what happens next. “The real revolution is the graduates,” he said. “We would anticipate that by the year 2022 FOCUS will have graduated 75,000 students, more than 3 students per parish” in the United States. FOCUS leaders are “equipped with the skills and tools to transform lives through small group discipleship,” he said. Dynamic Catholic graduates can transform parish life. They can also impact the culture. I saw the impact of Catholic higher education in the program I attended — the now defunct St. Ignatius Institute in San Francisco founded by Jesuit Father Joseph Fessio. At one point, students I had known personally on campus were simultaneously the editors of Catholic World Report, Faith & Family magazine, National Catholic Register, Our Sunday Visitor and The Catholic Key. Others included an associate editor at Reader’s Digest; Vatican reporter for CNN; a popular Catholic speaker and author; and the translator of Pope Benedict’s book, Jesus of Nazareth. And that’s just to name those in media — others were doctors, lawyers, pro-life activists — and of course moms and dads with trails of kids behind them. We can’t imagine the impact of students from dozens of colleges, plus auxiliary forces in secular schools. From universities come the individuals and schools of thought that shape the law, the media, the arts and the marketplace. Think of the fundamental beliefs in our society that originated in the universities: moral relativism, radical feminism, militant atheism. Americans opposed all of these things, until generations of students were taught to embrace them. Imagine what the world would be like with more teachers, journalists and public officials who are as unafraid to speak of their Catholic faith as secularists are to speak of theirs. Imagine doctors as careful to uphold human dignity as they are to be up on the latest developments in medical science. Imagine teachers and librarians open-minded enough to present religious books alongside secular ones, and business leaders defending their faith as vigorously as those attacking it now. Goodness, truth and beauty have a power that is far greater than ideology. That is what Catholic higher education offers – and the revolution is well underway.